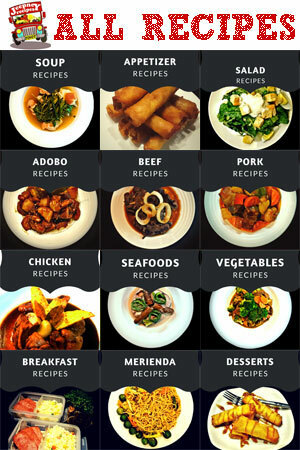 In the Philippines, Lumpiang Shanghai is on the top of the menu list whenever there is a celebration specially during birthday, christmas and fiesta. Possibly because it is multi-purpose, it could be an appetizer or a viand. It likewise serves as a finger-food and a perfect match for beers and other spirits. Lumpiang Shanghai or Spring Rolls is made up of ground pork, minced onion, carrots, kinchay, spices and raw eggs are utilized as a binder. Lumpiang Shanghai has no boundaries when it comes to ingredients. You can add almost anything to it. You can put cheese to get the fillings moist, have some minced raisins to make it sweeter, you can even make it spicier with chili flakes, use oregano or mint leaves for a more freshly taste and a bunch more. 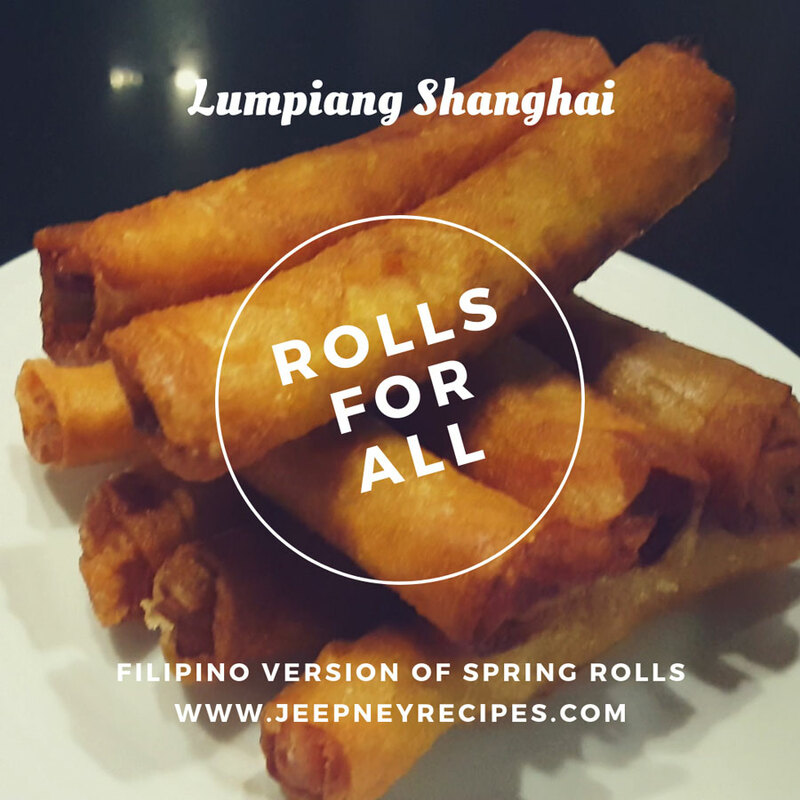 Once you already know the basic mixture of Lumpiang Shanghai, you can now create your own variation. Combine ground pork, bellpepper, onion, carrot, kinchay and egg in a large bowl. Season with salt, powder seasoning and black pepper. Mix well. Place 1-2 tbsp of the filling on the lumpia wrapper, fold, tuck the sides, roll and seal. (Optional: flour and water mixture) Assemble the rest of the mixture and lumpia wrapper. Preheat oil over medium heat and deep fry for 2-3 minutes or until golden brown. Drain in a rack or paper towels to remove excess oil before serving. You can use an Embutido mixture instead of Lumpia mixture. For sealing: cook the flour and water mixture over a low fire. It makes a better & dryer sealant. Stack the lumpia with half an inch space and alternately (crisscross) to avoid from sticking from each other inside the freezer.